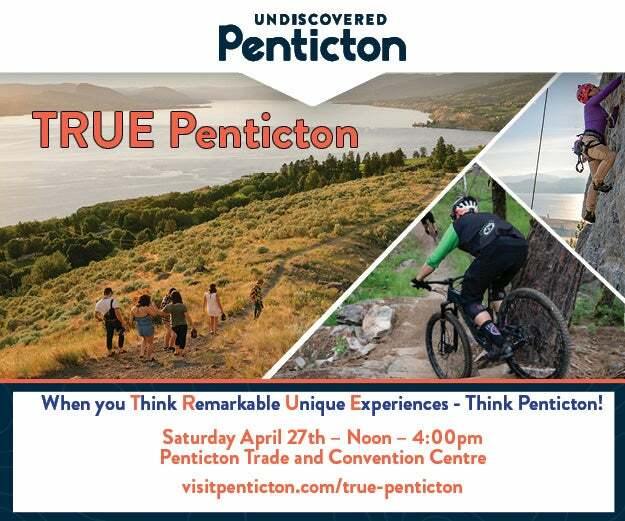 Think Remarkable Unique Experiences – Think Penticton! Do you work, live and play here? Work directly in the tourism industry or host family and friends throughout the year? If you answered YES to any of these questions, then this is the perfect opportunity to get to know where to send your guests or experience what our area has to offer yourself! Discover new adventures or reacquaint yourself with amazing activities, attractions, accommodations, restaurants, wineries, breweries, local events and so much more happening in and around Penticton. If you’re a business owner, TRUE Penticton is a great place for you and your staff to brush up on local knowledge that will impress your guests and visitors. Whether you’re new to the area or you’ve lived here for years there is no better way to learn about your community and the fantastic things that Penticton has to offer.